My dad Tim has had OT for many years but was just properly diagnosed recently. We are glad that this forum provides a pathway for him to better understand the condition, as well as meet others that share the same experiences as he does. We are both interested in attending the Houston meeting but since we will be traveling from Eastern Canada we wanted to confirm that it is still happening. I believe my dad emailed Pat before the holidays but didn't get a response. If someone could please confirm that the event is still on as well as provide a recommendation on a hotel where we could stay, that would be great. The meeting/event is still on and I've received the following from Pat, she is handling the arrangements with the hotel. I am looking forward to meeting fellow travellers at Baylor. Have we established a hotel yet? I did send an email to Pat over a week ago but never received a reply. 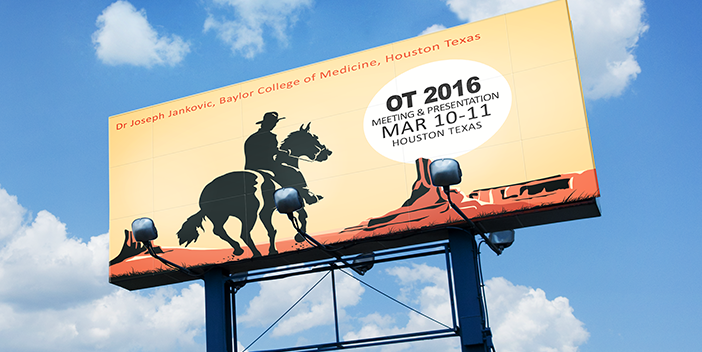 My husband & I are planning to attend the OT Presentation in Houston. We hope info will be coming out soon. We have never met anyone else with this challenge, and are looking forward to connecting with others. I encourage you to make your Hotel and Shuttle reservations ASAP as the Rodeo is in Houston while we are there and the demand for rooms will only increase. Thank you and look forward to seeing you! 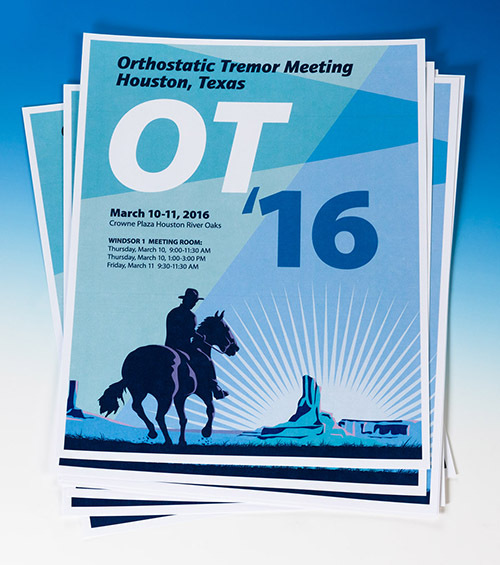 Reservations must be made before the cut-off date of 02/24/2016 to receive the group rate. Check In/Check Out: For GROUP attendees check-in and check-out times will be: Check-in: 3:00 PM; Check-out: 12:00 PM. Departure extension or late check outs are based on availability. All individuals are responsible for their own room, tax and all incidentals charged to their room. I wish we could attend but the group hotel rate of $199 per night is far above our budget. I'm hoping that someday an event will be held on the east coast. Thanks to everyone who has worked so hard to arrange this event. I am having trouble finding information on the March meeting. Where do I go to register? 11:00-11:30 -- Old Business, suggested reading materials, call for volunteers to serve on committees -- fundraising, meeting planning, awareness raising and other…. Announcements regarding dinner. Just responding to the question about OT being hereditary. My sister has ET and I have OT. We don't know of anyone else having it but I remember my grandmother being in bed a lot and walking with a stick. That could just be old age or was it undiagnosed OT? Who knows back then!